Interested in the absolute freshest produce? 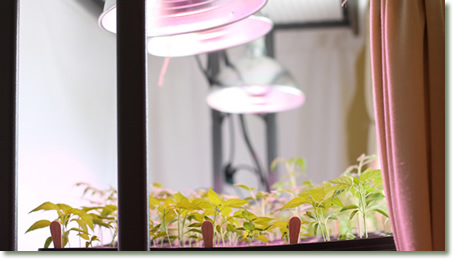 The TG1A Broad Grow Spectrum Light bulb makes it possible for anyone to grow their own produce. 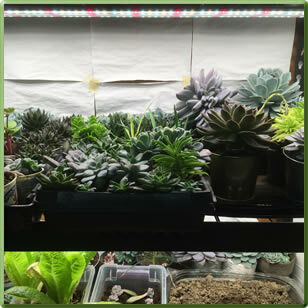 Turn your counter, window or basement into a year-round garden to feed your family! 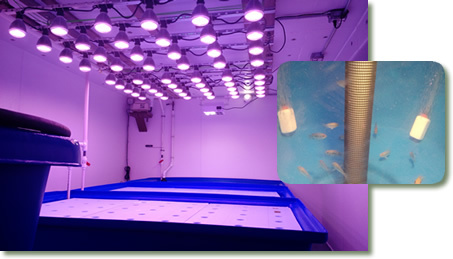 A default setup is 1 TotalGrow Broad Grow Spectrum Light bulb per 10x22" plant tray for small plants, or 1 bulb per plant for plants 1 sq ft or larger, approximately 12" above the plants. If significant natural light is available, e.g. a southward window, double the coverage per bulb with lights approximately 16" above the plants. Contact us for recommendations specific to your application. Finally, an indoor garden! 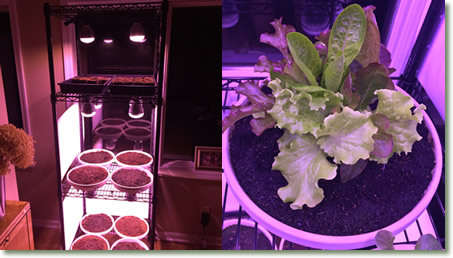 This past year I set up an indoor garden in my basement using TotalGrow light bulbs. 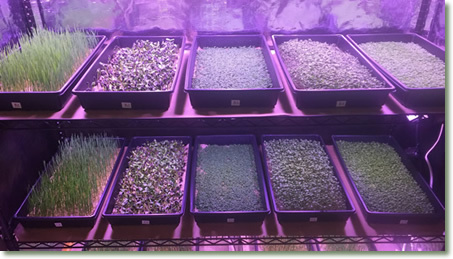 I grew different microgreens and wheatgrass. 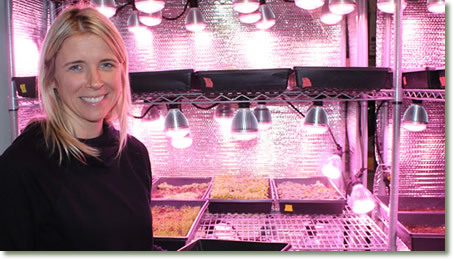 Not only did I enjoy seeing the growth process, but I loved using the greens in my daily recipes. We used them in our smoothies, salads, on sandwiches and fish, and even in eggs. Delicious and healthy! With our TotalGrow™ Broad Grow Spectrum Light bulbs we have increased our germination success, sped up growth and drastically reduced the stretching of all of our garden transplants.